You know, the English get a lot of flack for their food. The truth is that it is not as bad as people would have you believe. Even more, if you have a traditional English dish at the right place and the right time, you will (un)surprisingly find that this may have been one of your very favourite meals. Ever! 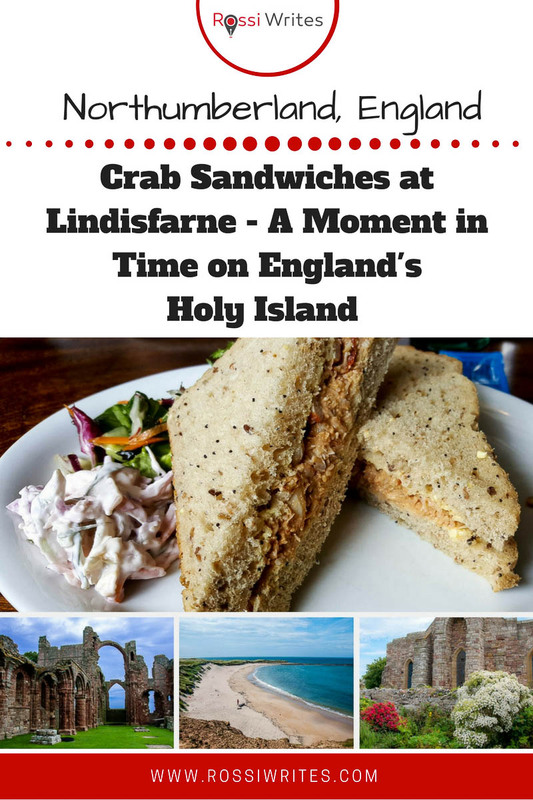 Take me a few months back when we visited the Holy Island of Lindisfarne in the English county of Northumberland. Located as up North as England goes, Lindisfarne is connected to the mainland by a causeway. 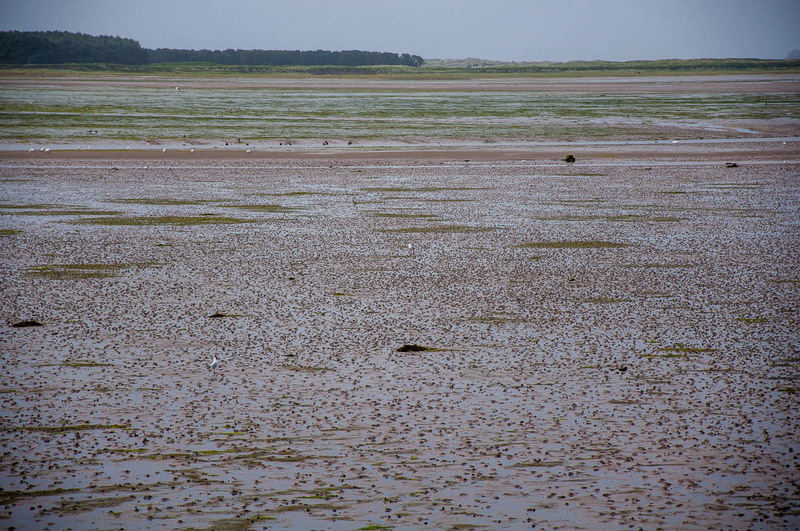 The sea tides flood the causeway and the marshy flats around it every day leaving the island cut off for many hours. 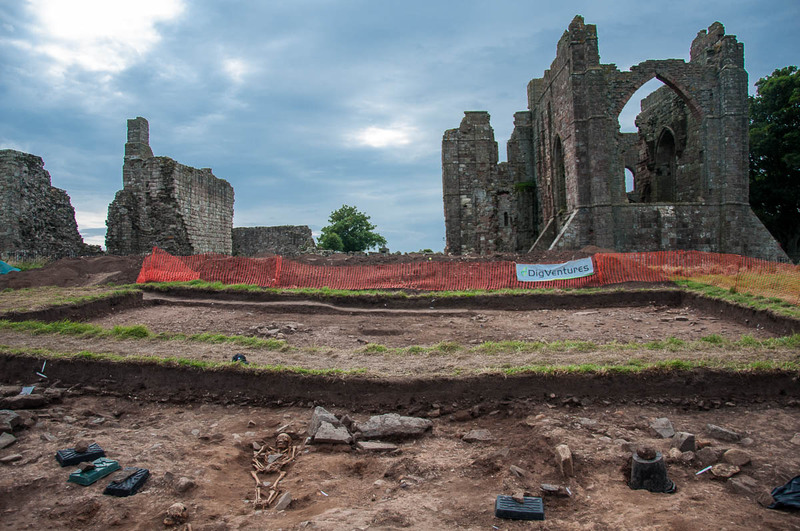 This adds to the mystique which surrounds it and makes you feel even more strongly how special this place is and what a once-in-a-lifetime experience it is to visit Lindisfarne. We had reached the island that very morning wanting to see the ruins of its abbey and to learn a bit more about its history. 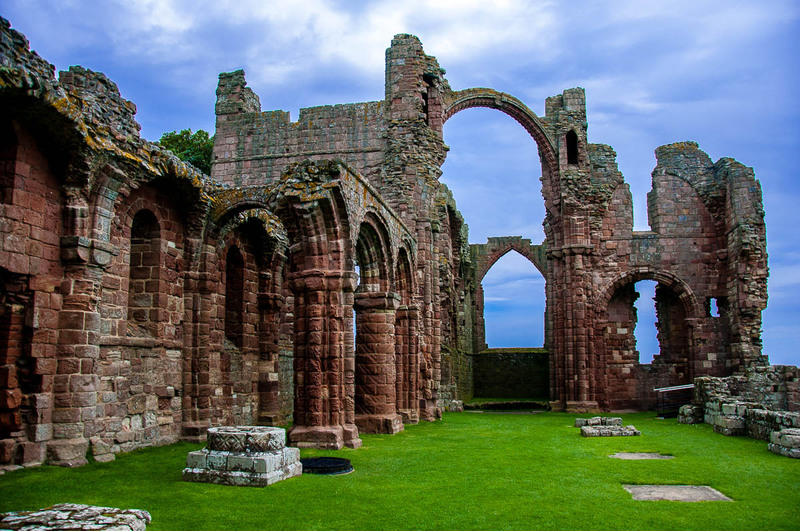 For Lindisfarne had been home to ascetic monks since the 6th century as well as an important centre of Celtic Christianity. 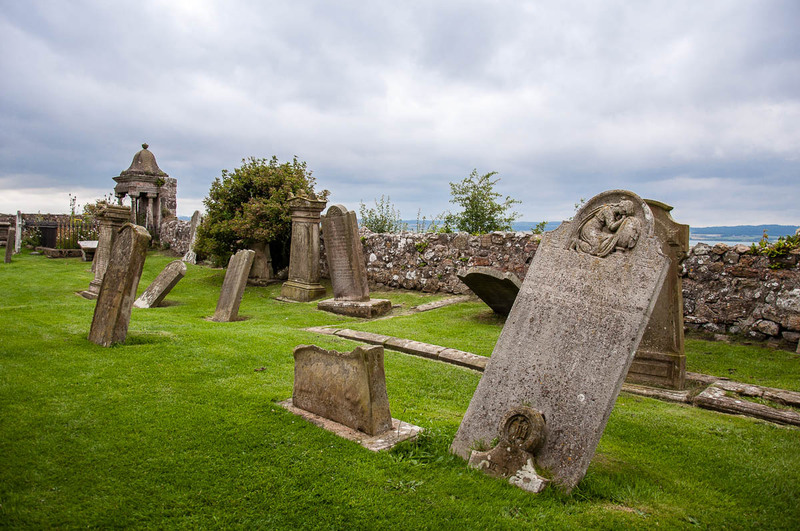 Its name is most often linked with that of St. Cuthbert – a monk, bishop and hermit who is now regarded as the patron saint of Northern England. and the mighty ruins of the Lindisfarne Abbey. The sea wind had not stopped blowing relentlessly even for a minute. The landscape – restrained and peaceful – was so different to the Italian lushness we had become accustomed to in the past three years. And even though it was the middle of July, the weather was grey and cold, threatening to bring in the rain any minute now. We spent a long time exploring the ruins of the abbey. We tried to imagine the life the monks had led there and I shivered uncontrollably when we read that they were not allowed fires in their rooms and could only warm up in the living room, which was known as the ‘warming house’. Summer being this windy and cold, I didn’t quite want to imagine how freezing the winters might have been in the Middle Ages. Next door to the abbey an archaeological dig was taking place and in the background we could see the harbour with fishing boats coming and going. It was now lunchtime and we headed into the village in search of something to eat. 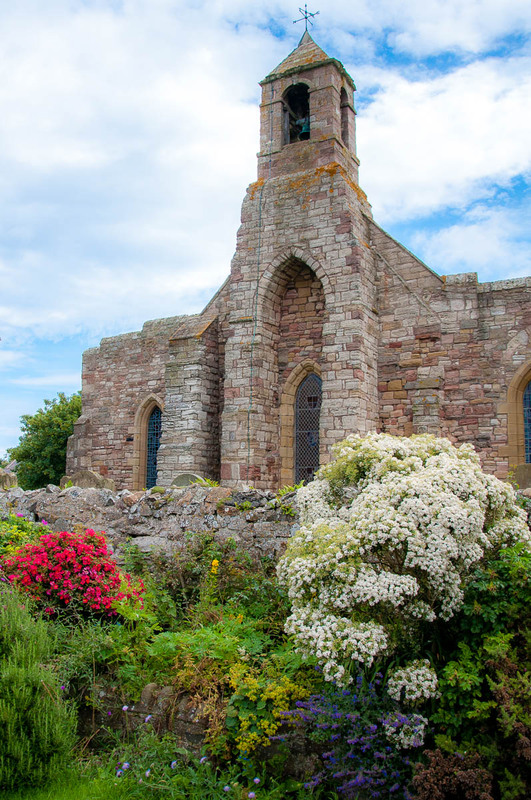 Lindisfarne welcomes over half a million visitors every year, yet with such a small permanent population, the village felt really quiet, almost devoid of life. What to do? The high street didn’t seem to have the usual branches of the food chains which had taken over Britain. 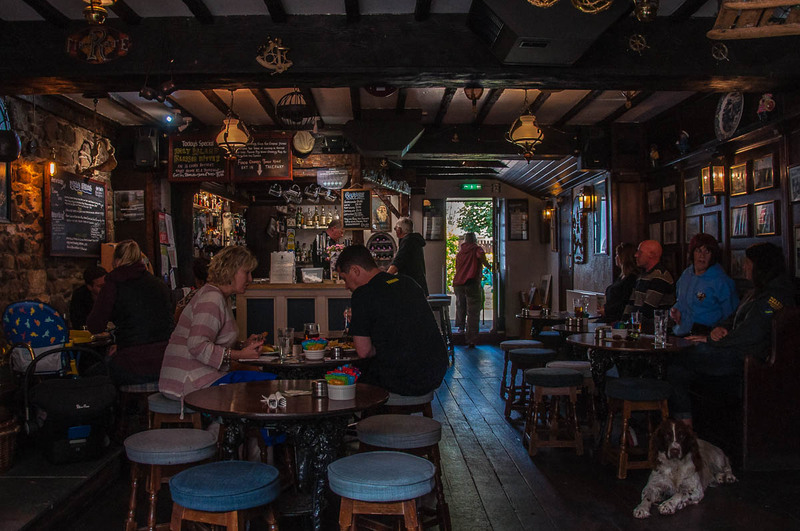 We thanked him profusely and after making some small purchases, like a tea-towel with Celtic motifs to remind us daily of our visit to Lindisfarne, we headed over to the Ship Inn pub. English pubs are famous the world over for their unique atmosphere and traditions. Unlike a modern bar or a swanky cafe, they quite successfully replicate that home-from-home feeling. Thematically adorned with all sorts of knicks-knacks, posters and memorabilia, studying their interiors is a great pastime, which is almost as riveting as observing behind your drink the other patrons. We made ourselves comfortable on the wooden benches and chairs by the window. The pub landlord took our order making sure to ask us what bread we wanted our crab sandwiches with – brown or white. Then we just had to wait a bit which was the perfect opportunity to start a conversation with the couple sitting next to us. They were just telling us about spending a few days in Venice the year before, when our crab sandwiches arrived. It was time to tuck in! Whatever they tell you about English food, don’t believe it. It has evolved through the centuries to support the body and the mind in a weather which often takes its toll on you with its unrelentingly grey mood. It also makes the best of local produce – potatoes, meat, some staple vegetables, bread. Or, as in the case of Lindisfarne – the spoils of the sea which surrounds the island and serves as a backdrop to its raw beauty. 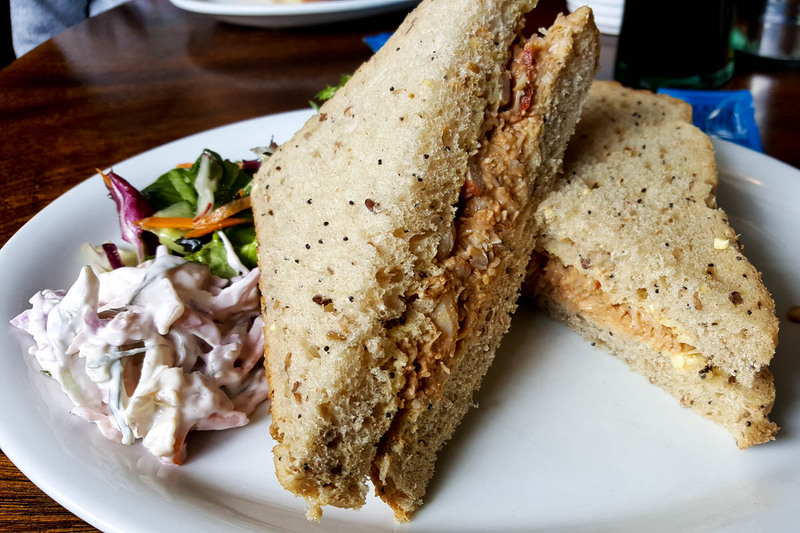 Our crab sandwiches were perfect, just what we needed, with every bite giving us the salty yet slightly sweet taste and the chewy texture of fresh crab meat. We dipped our chunky chips in the sauces of our choice – lots of mayo for me, ketchup for my husband. Once it was all eaten down to the last crumb, we were ready to keep exploring Lindisfarne. 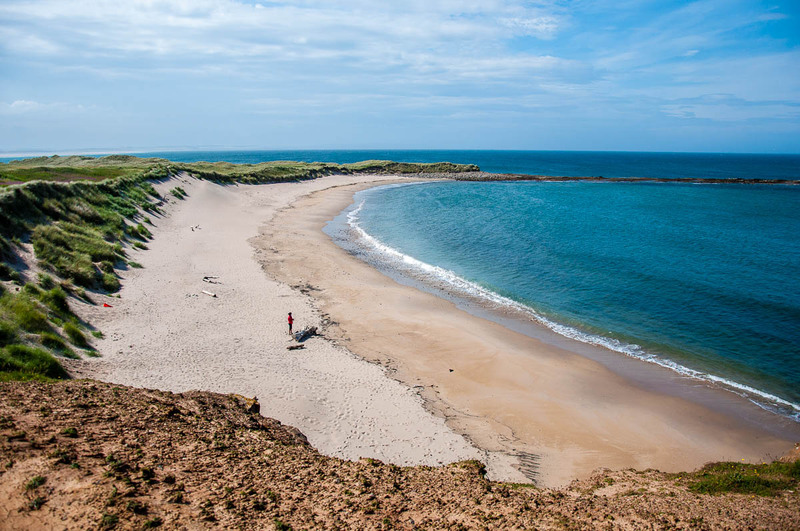 We headed out for a long walk through its fields and then its sand dunes at the end of which we found many sandy beaches and a whole herd of bathing seals.